Kiln formed sheet glass with colored powdered glass imagery. 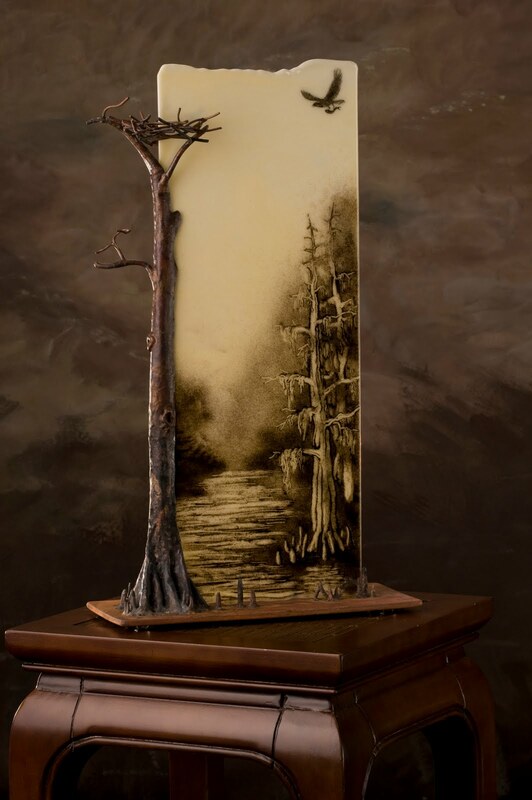 The base is copper plated steel with a hand wrought copper and bronze cypress tree with an ospry nest. the glass measures 10x 22 inches.